Land-locked Bolivia is a country of dramatic landscapes and fascinating native cultures and traditions. Being prepared for travel means you will enjoy the country at its best, so we have put together a list of essential and useful tips and facts to know about Bolivia, before you go. Bolivia’s Altiplano (High Plain) is with 7.5 million inhabitants the country’s most populous region. La Paz, the world’s highest (administrative) capital city, is set in a deep canyon at the foot of the towering Illimani snow peak. It is a striking city, both for its location and its strong Indigenous cultural influences. Lake Titicaca, occupying 9,000 square km of Bolivia’s northern Altiplano, is South America’s largest lake. On the windswept southwestern Altiplano, the Uyuni Salt Lake – the largest in the world – stretches to the horizon. But Bolivia is not just an Andean country. The eastern slopes of the Cordillera Real are characterized by Bolivia’s vast and wild Amazon region. Electricity: Appliance plugs compatible with continental Europe & USA. 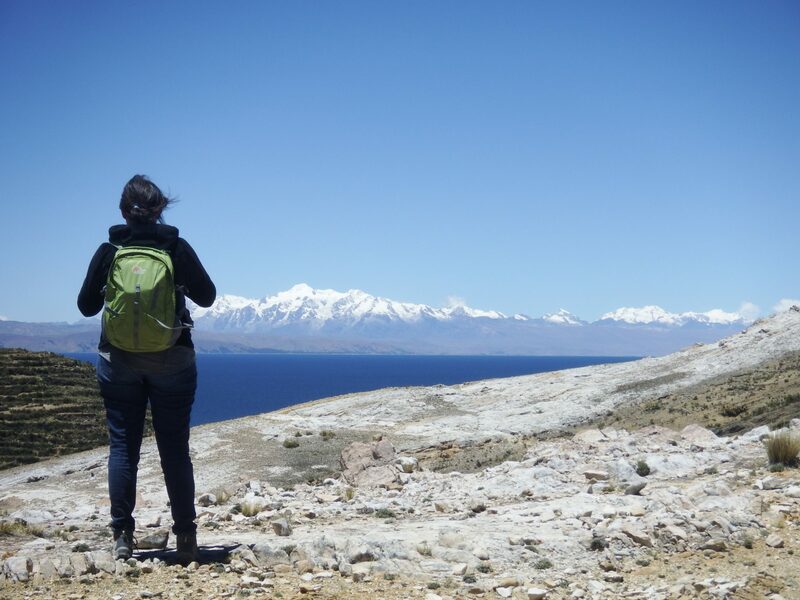 Bolivia lies at an average altitude of 3,800 metres and acclimatising to high altitudes is essential to ensure you stay healthy and can enjoy your trip. We build in acclimatisation into our itineraries and will provide you with tips on how to deal with the altitude on arrival. The best time to travel is Bolivia’s winter (dry season) between May and Oct when, typically, weather systems over the Andes are stable, and overall you can expect bright sunny days and cold clear nights. Most of the rain falls from Dec to March. Avoid dehydration. Drink plenty of water (2-3 litres/day). Drink bottled, treated or previously boiled water as public water, although chlorinated and relatively safe, may cause stomach upset. Choose treated or boiled water, or refill from water stations where possible to avoid plastic waste. Avoid sunstroke and sunburn. Don’t underestimate the strength of the sun’s UV rays at altitude. We ask that you consult your doctor or travel nurse for the latest up-to-date information on necessary vaccinations. Recommended Inoculations generally include Hep A, Yellow Fever, Tetanus, Rabies, Typhoid but some of these are dependant on where you will be going and a health professional can give best advice. Anti -malarials will only be necessary if travelling to the Amazon regions below 1500m. Internet connections are reasonable in bigger cities but very patchy in rural areas. ATMs are widely available in cities and credit cards are widely accepted in larger restaurants etc. You may be able to pay for some services in USD, but will receive change in Bolivianos. We recommend using the local currency. Bolivia is a generally safe country, however, crime does occur – mostly in the form of petty theft and pick pocketing. Be aware of your surroundings, take a taxi at night (best to organise this from your hotel or a restaurant/ cafe) and don’t take/ flash ANY valuables, leave passports always at your hotel (take a photo copy) – have common sense. Taxis are not metered, you must agree on a price with the driver. Where possible order a taxi at hotel reception or at restaurants/ bars – these “radio taxis” are slightly more expensive (around 6 – 8 Bs for an average inner city journey) than regular taxis, but safer. If you hail a taxi, look for a registration plaque and aim to pay around 4 – 5 Bs for an average city journey. It is customary to give a 10% tip to waiters, guides or drivers but it is not an obligation. Tipping taxi drivers is not necessary but can be done. Please ask us for our tipping guidelines. An up-to-date passport with six month validity is required to enter Bolivia. Most European countries (UK included), Australia and New Zealand do not require a visa. American citizens do require a visa to enter Bolivia, please contact the Bolivian embassy for information on the application process. For all other nationalities please contact the nearest Bolivian embassy for up-to-date visa requirements. A Yellow Fever certificate is officially necessary to enter Bolivia. Plastic waste is a huge issue in South America, please be very conscious of the amount of plastic bags you are getting and using on your trip – decline the use of a plastic bag where possible. Many hotels will now offer water refill stations so please bring a bottle to be re-filled with drinking water where possible. Please take batteries back home with you as they cannot be recycled in the country. Save energy and water where possible. Carry toilet paper with you as it’s a rare commodity in public toilets. Be flexible – road blocks are a common way of protest, weather can change quickly, etc. But don’t worry, we are here to do our best to make your holiday run as smoothly as possible.